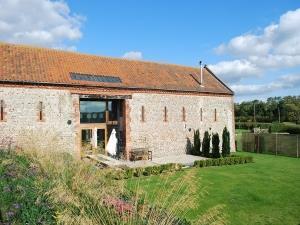 High Barsham was once a threshing barn but has now been transformed into spacious living accommodation. Bronze lanterns and coloured glass illuminate the embroidered cushions and carved wooden antiques of the interior, combining contemporary detail with a cool and easy eastern influence. Rental may start on any day of the week and you may book for any number of nights with minimum rental 3 nights. We offer 4 nights for price of 3 for mid-week stays during low season. Ring or email for a quote for 5 or 6 night stays. High Barsham offers weekly bookings starting on Friday and sometimes short breaks.